Citizen Investigation Team has made it a point when conducting our investigation to be very careful to never automatically accept data that has been controlled and provided for by the suspect (the government) as valid evidence. That is the only logical approach to any crime investigation so we are careful to stay true to that logic and question government provided data that might seem to support our conclusions just as much as we would data that supports the official narrative. 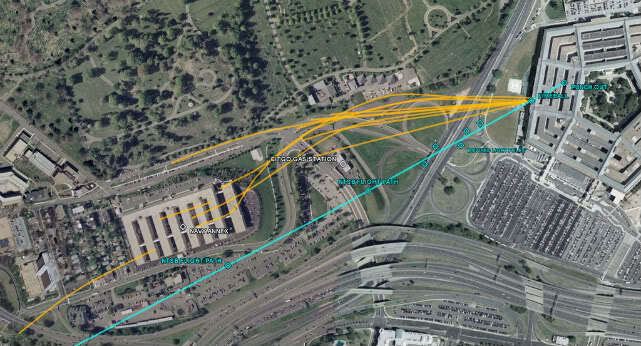 As you can see they have the plane crossing over from the south to the north side of Columbia Pike just over the Navy Annex exactly like Ed Paik and all of the north side approach witnesses describe. 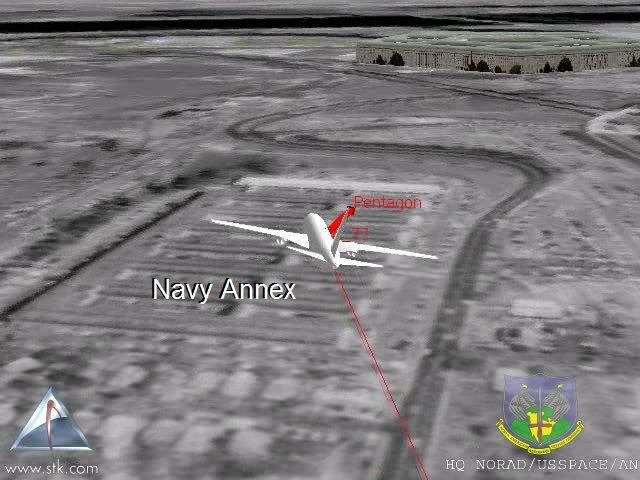 Why they would release an animation showing an approach that is irreconcilable with all physical damage and all other data is a mystery to be sure, but considering the fact that this is where all of the witnesses in the area unanimously saw the plane fly, we can not simply write it off as a "coincidence". 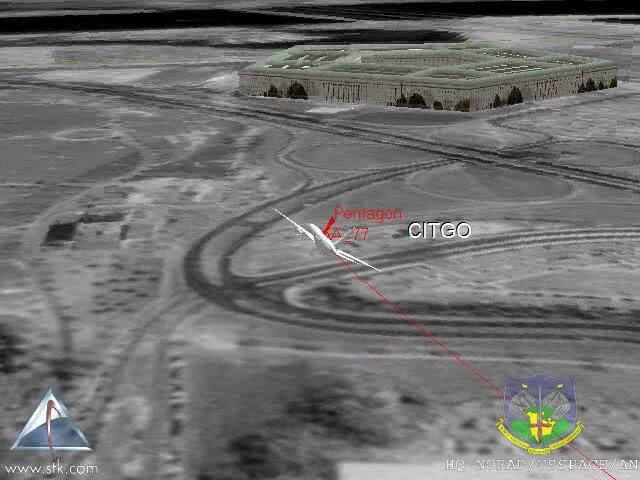 So while it does depict a north side final approach we do not believe this is honestly depicting true radar data for the Pentagon attack jet. 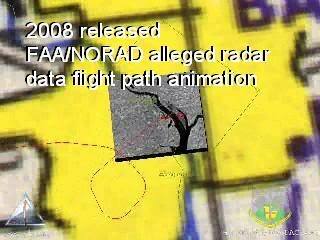 But the precise north side banking maneuver depicted can not simply be an accident or coincidence given all the independent evidence proving a general approach of this nature. This was clearly created for a reason. It may simply be an obfuscation effort to make it seem like there is a large enough margin of error between north or south of the citgo that it would be an easy "mistake" to make. 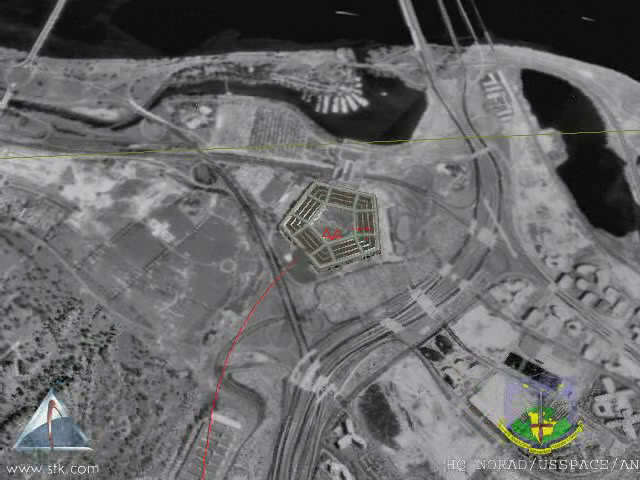 But to eyewitnesses on the ground in the critical areas with the critical vantage points, this is simply not the case. 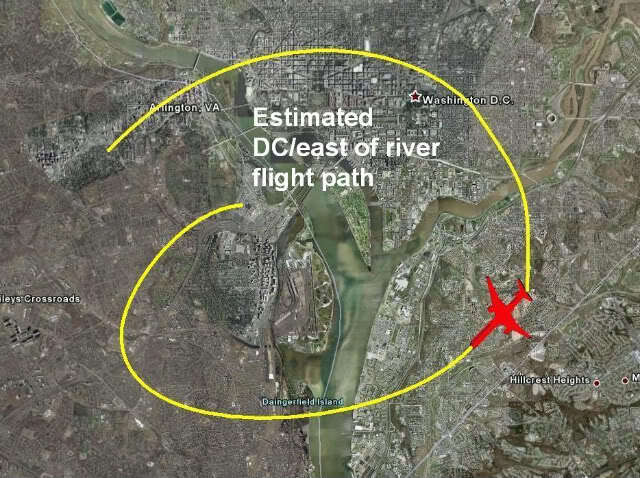 And there is absolutely zero room for error in the south side approach flight path most obviously due to the downed light poles, the cab, and the generator trailer. 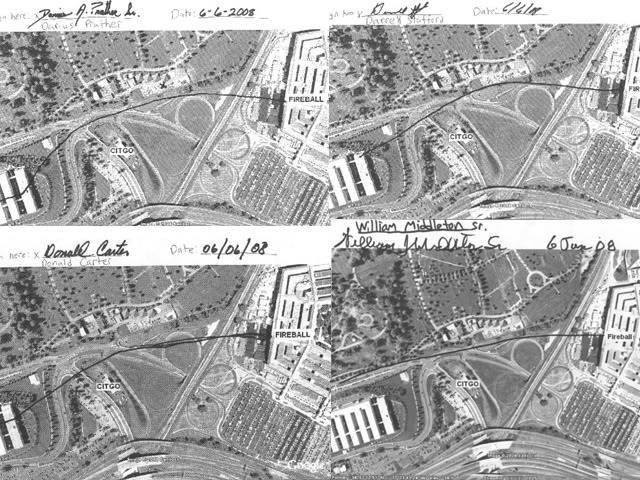 The incredible timing of this release should not go unmentioned since of course we only recently obtained and released all of the additional validation of this north side banking flight path from the witnesses at Arlington Cemetery only 6 weeks prior and Pilots for 9/11 Truth released their new presentation with animations of their own depicting virtually the exact same bank only one day prior with a trailer 8 days prior. 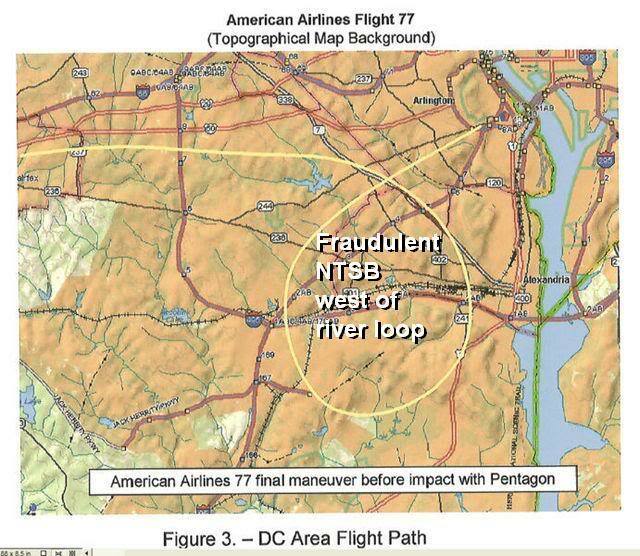 What's actually comical about this is how hard the pseudo-skeptics tried to claim this flight path is "impossible"! Would the FAA really go out of their way to animate something so precise and deliberate with such a drastic bank if it was "impossible"?